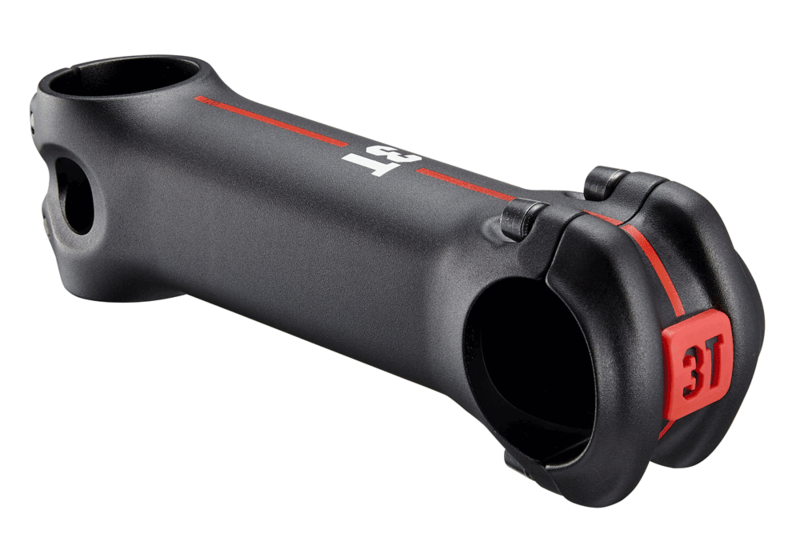 The Apto stem combines both with a beautiful shape and a lightweight, stiff and strong structure. The reversed bolts clean up the faceplate, while their wide spacing increases the connection to the handlebars. Its double steerer bolts (Titanium in case of the TEAM version) securely hold the stem in place. The sculpted 3T faceplate logo is removable to reveal the attachment slot for a computer mount.